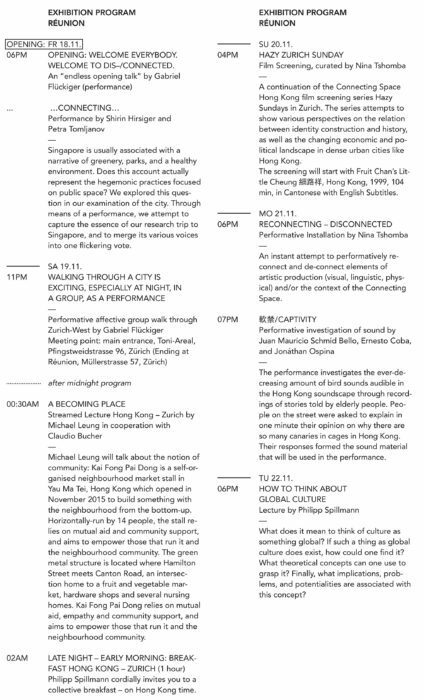 Connecting Spaces Hong Kong – Zurich is a transdisciplinary arts space initiated by the Zurich University of the Arts. Launched in 2014, the space grounds itself in the hybrid geography of Hong Kong – Zurich, and promotes opportunities for mutual exchange between Europe and Asia on the level of concrete cultural practices. The space offers a platform for 1) communication and exchange between local and global perspectives, 2) collaborative projects with a transdisciplinary and transcultural outlook, and 3) discourse, art education, research, and creative production. The exhibition “dis/connected: working relationships, Connecting Spaces Hong Kong – Zurich — 2013 – now” is at once a retrospective of the Connecting Spaces initiative, as well as an institutional interrogation of the projects that have taken place under its banner. “dis/connected: working relationships” is therefore not a presentation platform with a pre-given position, but rather a form of intervention that reflects on its role as a co-actor in the constitution of our understanding of the Connecting Space. The exhibition is curated by Gabriel Flückiger, Katja Gläss, Philipp Spillmann, Nina Tshomba, and Jana Vanecek. As the name itself implies, forging links between spaces, disciplines, etc., is a central objective of the Connecting Space. The creation of this network is both a prerequisite for and consequence of the space’s projects, which constantly modulate connections between people. This networking procedure implies a latent belief in an equal, flat model of connection, and furthermore an organization that favours connection over modalities of disconnection, non-connection, or interruption, all of which are seen as symptoms of unwanted conflict. In contrast to this, “dis/connected: working relationships” is based on the principle of interruption, questioning implied institutional, social, and technical forms of equality. The exhibition does not understand disruption as necessarily negative, as a kind of “dissonance” which must be transformed into “harmony,” but rather as an integral element of networking, and with its own form of productivity. Disruption is constantly produced in connectivity, and can contribute to both its production as well as its transformation. “dis/connected: working relationships” thus also rejects any claim to representation which would be commonly associated with retrospectives, and does not wish to present works as finished end products. It understands itself rather more as a studio, presenting available material from individual projects, treating them like fragments of a whole. These individual parts then become materials documenting the context, mode of display, working method, and collaborators that have formed the Connecting Space since its inception. 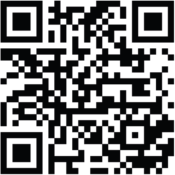 The exhibition will take place in three parts. At the Toni-Areal campus of the Zurich University of the Arts, the Kunstraum exhibition space will be turned into a studio environment open to the public, containing the aforementioned documentary fragments. 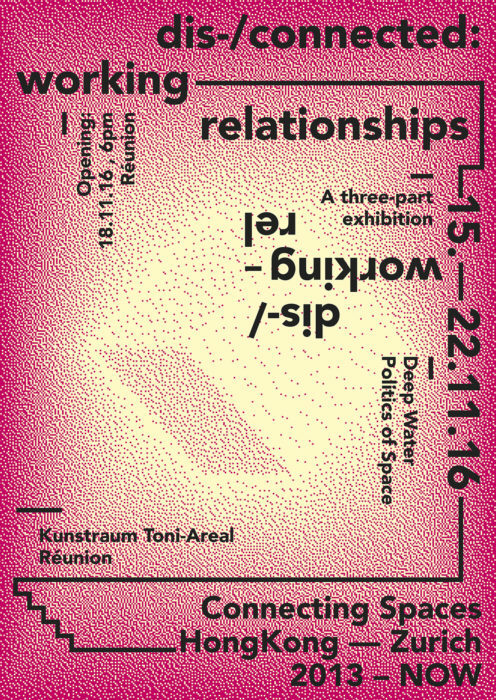 Furthermore, “dis/connected: working relationships” will take a step outside of the Toni-Areal, taking place as well in the Artspace Réunion in Zurich’s 4th district, which will also host a series of public programs and events over the course of the exhibition. Lastly, audio concepts about several projects, as well as conversations, and other audio files will be continuously streamed via internet for the duration of the exhibition – a nod to the importance of the internet as a core component of the in-between space between Zurich and Hong Kong.